In this era of the modern world, Data corruption and Low disk space are common problems. Low Disk space usually happens when you have allocated very small memory to a particular drive or your drive is almost full. On the other hand, Data Corruption can occur due to many factors such as Power failures, Improper shutdown, and other power related problems. 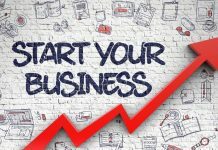 If you have faced any of the above problems, then you must also have heard about the Partitions Managers. These Partition Managers optimizes your Computer’s hard drive by different operations such as Creating, Resizing, Merging, and Deleting your partitions. One such famous Partition Manager is NIUBI Partition Editor which is now leading the Partitioning Software Industry. So, let’s have a look at some of the interesting features offered by NIUBI Partition Editor. NIUBI Partition Editor comes with lots of features that you will never get in any other Partition Manager. Apart from managing the partitions of your Drives, it also offers you a unique 1-second RollBack Data Protection feature which you will rarely find in any of its competitors. NIUBI Partition Editor comes in 5 different versions: The first being the basic version which comes free of cost. The other versions include Professional Edition, Server Edition, Enterprise Edition, and Technician Edition. You can choose from any of the versions above based on your requirement and need. To install the NIUBI Partition Editor from the official site, click here. After Installation what I liked most about this software is it’s neat and clean User Interface. You don’t see any of the unwanted functionalities on the home screen as they are clearly hidden inside the Menus. This Partition Editor is also faster than its competitors and is trusted by companies like IBM, FedEx, IEEE, Comcast, and HP. With NIUBI Partition Editor, you can easily resize your existing Windows Partition and increase/decrease the size of the Drives/Partitions. You can easily extend your NTFS Partitions without rebooting your system, whereas most of the other software extends NTFS Partitions with Bootup. 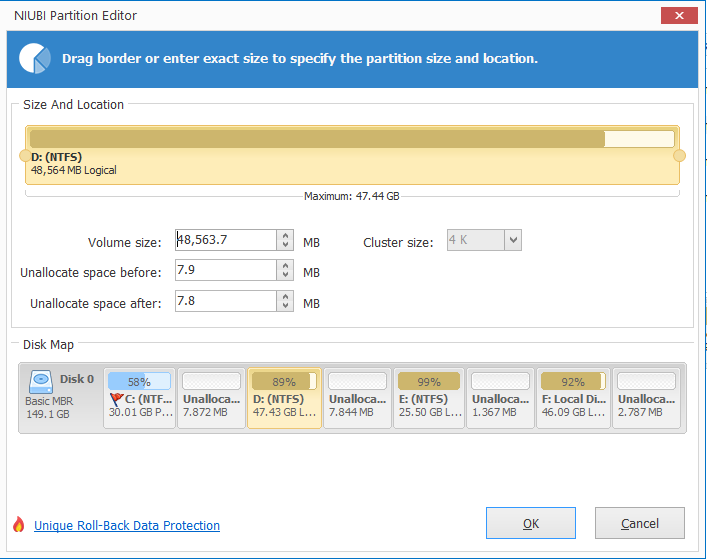 Resizing Partitions using drag and drop option was never so easy before NIBUI Partition Manager. Yes, you heard it right. 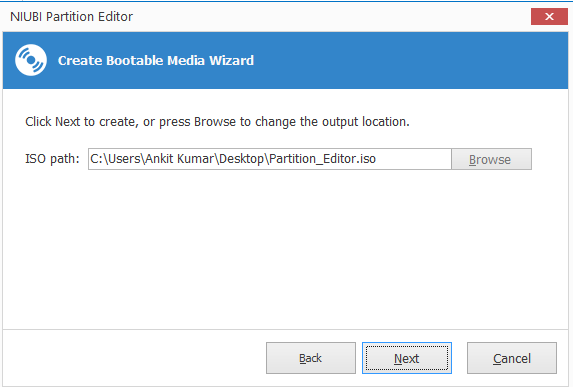 You can also create a Bootable Media using this NIUBI Partition Editor that too in simple 2 steps. 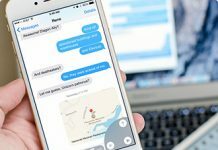 You just need to specify the location where you want your ISO file to be saved and that’s all. A bootable ISO file of your Current Operating System will be created in just a few minutes. Mistakes happen. And NIUBI Partition Editor knows this. So, all the changes that you are performing are in virtual mode. So, you can always Undo the last operations performed without the fear of losing your data or corrupting your hard drive. Apart from managing your Partitions, NIUBI also takes care and optimizes your system for better performance. This partition Editor can easily perform optimizing operations like Fixing File system error, Scan and Fix Bad Sectors in Hard Disk, Initialize disk, Partition Defragment and View Disk and partition properties. Converting Disk formats from one format to another is just a few clicks away in NIUBI Partition Manager. Converting disk partitions using traditional method requires the whole hard drive to be formatted, but not the case with NIUBI. You can easily convert your existing GPT Disk to MBR format or NTFS to FAT32 without wiping your hard disk. It is also possible to convert Logical Partitions to Primary partitions and vice-versa in just a few simple clicks. What if you have initiated an operation and then you realize that you have done a mistake? Or the process is taking too much time and you need to shut down your PC. With NIUBI Partition Editor you can easily cancel any ongoing operations without the fear of data loss. 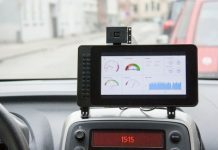 This makes NIUBI more unique than its competitors where after initiating the operation the control is generally taken away from the users. What if you are resizing your Partitions and power goes off or some unexpected error occurs. In most of these cases, the hard drive gets corrupted and you need to wipe your entire hard drive or at least the drive where Operating System is being Installed. But NIUBI comes with its unique 1- Second Rollback Data protection which automatically rolls back the computer to the status before resizing in ONE second. So, if any error occurs during the modifications, your existing settings remain saved. The basic variant of NIUBI comes free of cost with limited functionalities (includes Cancel-at-will Technology). The professional version comes with a price of $39 and can be registered on 2 computers. You can also check the pricing of other variants and select as per your requirements. NIUBI Partition Editor is definitely one of the best Partition Editors available and has features that are missing in any other alternatives available. The best part being it’s Cancel-at-Will Technology and 1-Second RollBack Data Protection, whereas the only limitation of NIUBI Partition Editor is its availability for Other platforms. Presently this is only available for Windows, but we hope NIBUI will bring it’s Partition Editor for Mac and Linux. NIUBI Partition Editor is a must for those who are handling large Computers and often face Data Corruption and Low Disk Space Issues. The ease, safety, and reliability that you get with NIUBI Partition Editor is really incredible and is worth the amount spent on purchasing the Product. Download NIUBI Partition Editor from here. So, this was a short, crisp and quick review of the NIUBI Partition Editor with all its unique features. 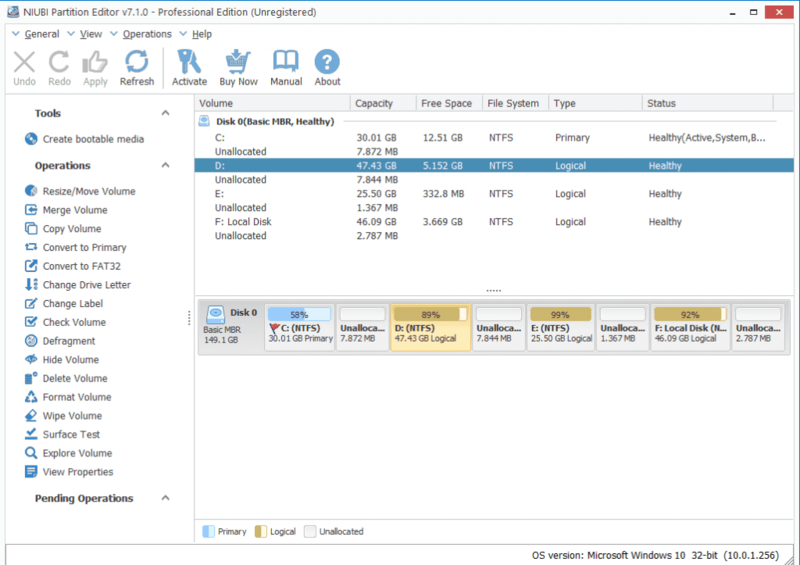 We hope now you know how this Partition manager is different from the rest and what is its unique features. If you have any queries regarding the Product or Installation, then you may comment down below. Our team will get back to you as soon as possible.